We’re taking Body Blows to EVO 2018! 2018 marks the 25th anniversary of Body Blows, the ground-breaking arcade fighting game sensation that we first brought to your screens on the Amiga line of home computers, and we now feel the time is right to take this fan favourite release onto the tournament scene at the biggest fighting game tournament in the world! 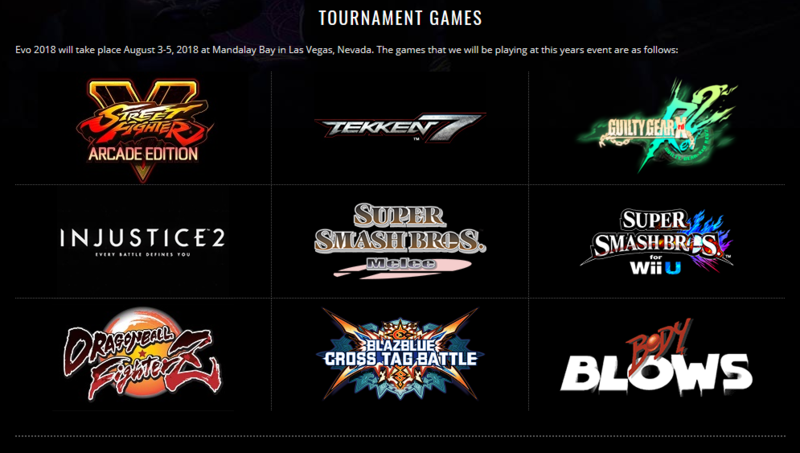 This August, the Amiga version of Body Blows will join the likes of Street Fighter V, Tekken 7 and Super Smash Bros. at the world famous Mandalay Bay during EVO 2018 – the largest and longest running fighting game tournament there is! Over three days, the most talented pro gamers in the fighting game community will compete as iconic fighters Nik, Junior, Loray and Dan for the glory of being the first ever Body Blows World Champion, a big cash prize and, best of all, a one-of-a-kind gold plated Amiga CD32! Representing the UK at EVO will be esteemed pro gamer and diehard Amiga fan, DanTDS, who you can read an interview with below! To celebrate the tournament, we also have 10 digital copies of Ultimate Body Blows on GOG.com to giveaway! Scroll to the bottom of the page to find out how you can enter! Dan TDS takes his treasured copy of Body Blows with him everywhere he goes… And we mean EVERYWHERE. TEAM17: Hi Dan! Congratulations on being the first person to represent the Body Blows community at an event like EVO. You must be pretty excited! No arcade stick required! Dan will only play Body Blows using keyboard controls.. And in the woods for some reason. DAN TDS: I am! I’ve been playing Body Blows ever since 1993 and never stopped playing it! Even after Body Blows Galactic and Ultimate Body Blows came along, there was still something “unputdownable” about the original. I can’t believe it’s now finally earned its rightful place alongside the likes of Street Fighter and Mortal Kombat. T17: What was it that attracted you to Body Blows all those years ago? Dan: Fighting games were all the rage in the arcades. Street Fighter was the game everyone talked about at school but… I only owned an Amiga. It took ages for those games to come to my system of choice and when they did, well, I didn’t think they were quite as good as the should have been. Then I picked up an issue of Amiga Action magazine, in which they’d reviewed this game that had a whopping 92%! It called Body Blows “A smack in the teeth for Street Fighter II and a kick in the groin for every other beat’em-up.” I just knew I had to play it! T17: After all this time you must have developed some real skills in Body Blows. Do you have any wisdom to share? Dan is busy honing his skills for the upcoming tournament at EVO. Unfortunately… He has no one to practice with. Dan: Well I don’t want to give away all my secrets but one thing I do recommend is to ignore joystick controls! Amiga never really had an arcade stick in the same way modern consoles do but who needs one when you have the ultimate controls built into the system itself? I only use keyboard controls to play Body Blows. With a different key underneath every digit, you can play like a ninja and you’ll be unstoppable! T17: Good tip! Speaking of the competition, who do you anticipate will be your fiercest rival at EVO? Dan: Actually… I don’t think there are any other tournament level Body Blows players. I might be the only one! Maybe someone reading this would like to enter? Otherwise, I’ll just be playing against the CPU… Which I can beat around 30% of the time, so I’m pretty confident. Thanks for your time, Dan! We can’t wait to see you compete at EVO… Even if you are playing by yourself. Everyone else, why not enter our competition below to win a copy of Ultimate Body Blows? COMPETITION: WIN A COPY OF ULTIMATE BODY BLOWS! The competition closes at Midnight BST on April 1st 2018. After that, we’ll select 10 entrants at random and direct message them with their download code! The Promoter of this competition is Team17 Digital Limited (Team17) of Castleview House, Calder Island Way, Wakefield, West Yorkshire, WF2 7AW. Entry is free. No purchase necessary. The competition will run from 09:00 BST on 1st April 2018 until 23:59 BST on 1st April 2018. Any entries received by the Promoter after this point will not be considered. any other person connected with the administration of the competition. All entrants must be over 16 years of age or have the consent of their parent or guardian to enter the competition. Entry is made by following @Team17Ltd on Twitter and tweeting a link to this article (https://www.team17.com/bodyblowsevo/) along with the hashtag #BodyBlows4Evo. Multiple entries are not permitted. If multiple entries are made, only the first entry will be eligible. Ten winners will be selected at random from all eligible entries. The decisions of the Panel of Judgment shall be final and no correspondence or discussion will be entered into. Winners will be notified by private message through Twitter. Winners will receive a download code for Ultimate Body Blows, redeemable on GOG.com – subject to availability. No cash alternative prizes will be offered, prizes are not transferable and are subject to availability. The prize is supplied by the Promoter who reserves the right to replace the prize with an alternative prize of equal or higher value if circumstances beyond the Promoter’s control makes it necessary to do so. By claiming a prize, winners agree that the Promoter can use their name, likeness and place of residence (in the format of ‘Rob W of Nottingham, UK’) for advertising and promotional purposes and for the purposes of fulfilling legal obligations. Details of the winner(s) may be published on social media belonging to the Promoter, as well as the website www.team17.com and Promoter’s newsletter. The Promoter reserves the right to vary any of these Terms and Conditions without notice. In such event the Promoter will make reasonable efforts to communicate any change with entrants. These rules are governed by the laws of England and Wales and any dispute relating to the promotion will be subject to the exclusive jurisdiction of the English courts. Mugsters – The Aliens Have Arrived!